I clearly remember the moment I knew God was calling John and I to adopt a sibling group of older girls. God didn’t speak as through a megaphone. Instead, it was one small conversation—and more small thoughts—that built into an idea that I knew was from God. The thoughts first started as I mentored teen moms in the young mom support group I lead. A number of the young moms had aged out of foster care. With no family support, many of them aged out, got a boyfriend right away, and then soon found themselves pregnant. A second thought happened when John and I attended a local adoption event where pre-adoptive families are able to meet waiting kids. We purposefully set out to talk to some of the other kids. John and I asked a group of teens to sit down and talk with us, and they were shocked. Our girls . . . while they were still in foster care. The final moment came during one Sunday during the worship service. I’d just come back from Africa with Awana International, and my heart was breaking, remembering all the orphans there. Many times over the years I’ve prayed, “Lord, break my heart with the things that break yours,” and God continually brought me to the orphans . . . and to teen girls. You’d think I’d start to get the picture! I lifted my hands in worship as tears streamed down my face. “Lord, I want to do something more. Show me what John and I can do.” We’d already adopted three children, but the need was so great. Then, this first moment, second moment, and third moment connected in my heart like three pieces of a puzzle. 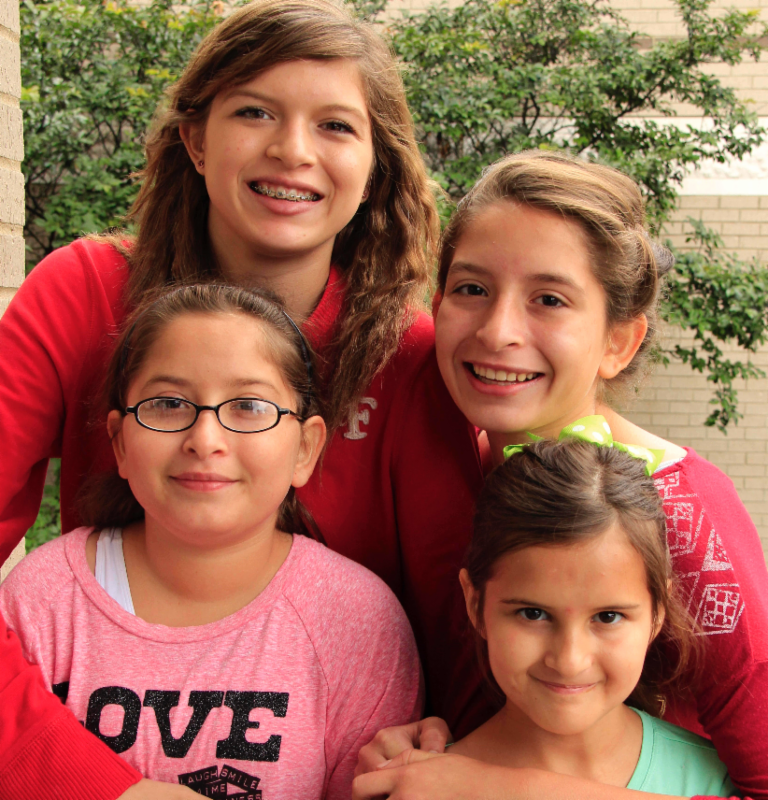 Adopt a sibling group of older girls from foster care, the still small voice of God’s Spirit seemed to say. He wiped tears from his face as he nodded. “Yes, I know.” That was all he said. God was speaking the same thing in his heart too. 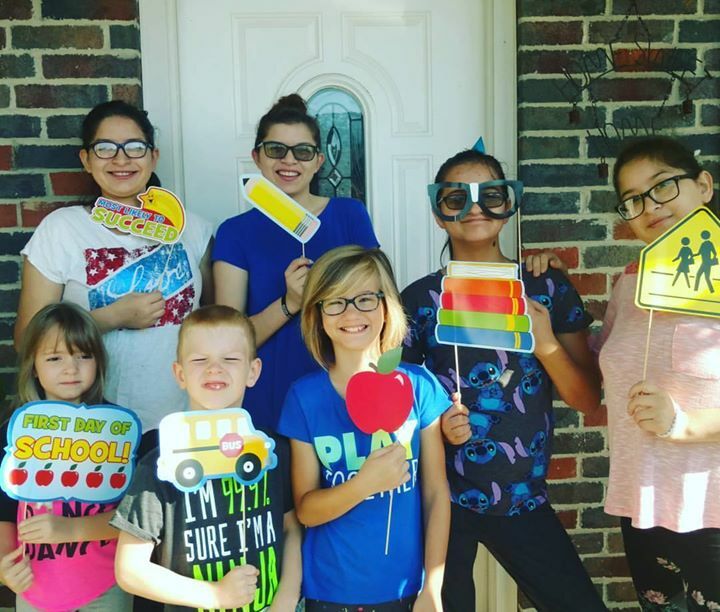 Our girls NOW just a few weeks ago on the first day of homeschool with their younger siblings. 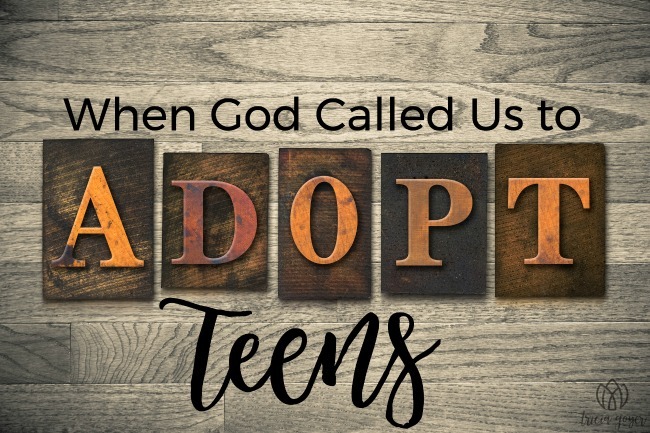 Months later, we met four young women, all pre-teens and teens, and we started our journey to adopt them. Maria, Lauren, Jordan and Florentina are now part of our home, part of our family, part of our hearts. Their adoption was finalized January 2016, and I love them as much as any of my other children. I share more about this story in my new book Walk It Out. It hasn’t been an easy journey, but it’s been worth it. My heart for this book will be that every reader will be encouraged to follow the unique plan God has for her (or him!). It won’t be easy, but it will be worth it. Your life will be changed, and maybe other lives, too! Unsure if Walk It Out is truly a book for you? I understand. And that’s why I have a special gift for you. You can find Chapter One of Walk It Out HERE. Read it. Share it. Then share it again! I know there are many who long to know God’s call for their lives. My prayer is this book will help them understand what that is. Whether we’ve been connected for a few days or many years, I’m thankful for every one of you who cares, prays and supports what God is doing in my life and my family’s life. You mean so much to me!